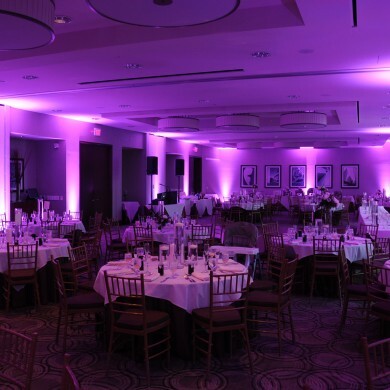 Since the lighting can have such a major effect, we prefer to meet our clients at their venue to allow them to choose their uplighting color. That way they can get a better idea of how the lighting will look in the actual room where the reception will be. 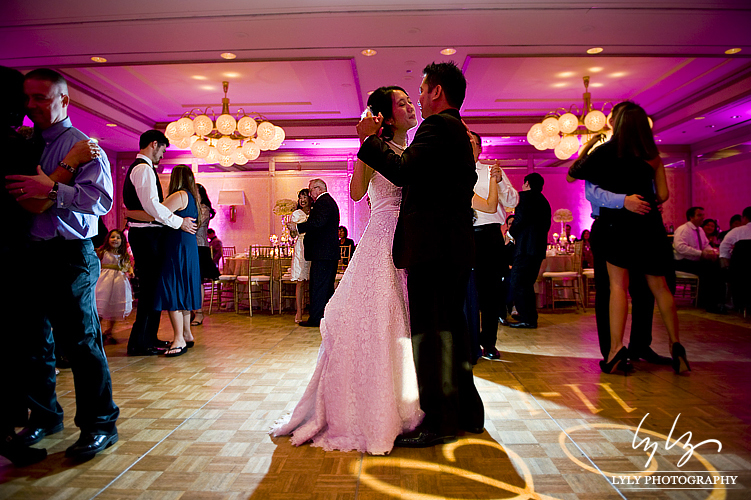 We can also offer advice as far as how colors will look when contrasted with your linens and floral. 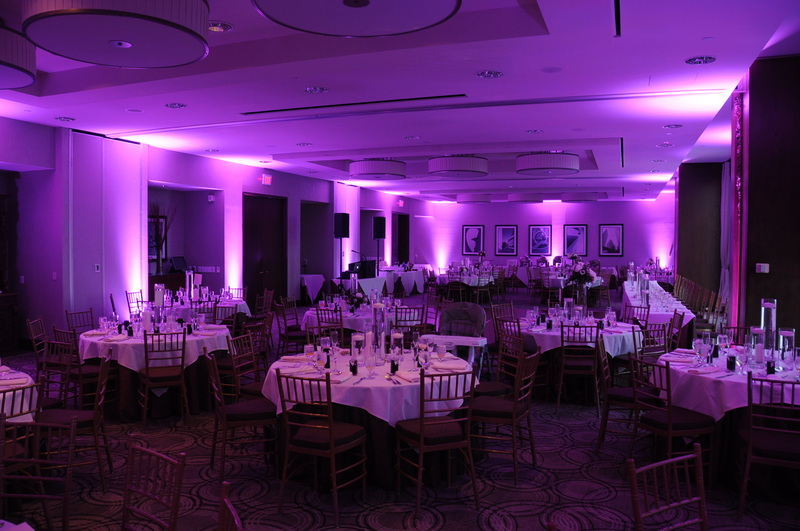 The best part about our uplighting is the fact that it is 100% totally wireless. That means you won’t see any messy cords coming from our lights. Also, we can place them wherever we think will look best without having to worry about getting power to them. 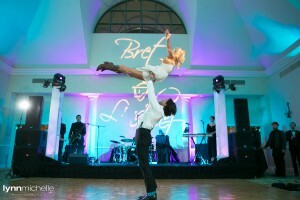 For example, we have used our uplights on pillars in the center of a huge ballroom without any power! 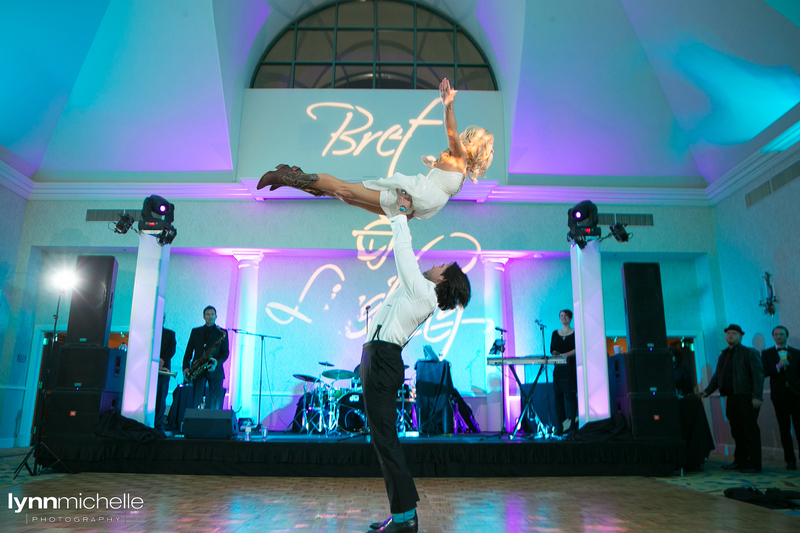 In addition to being very neat since they don’t have any cords coming from them,our lights are also bright and have a very long lasting battery. 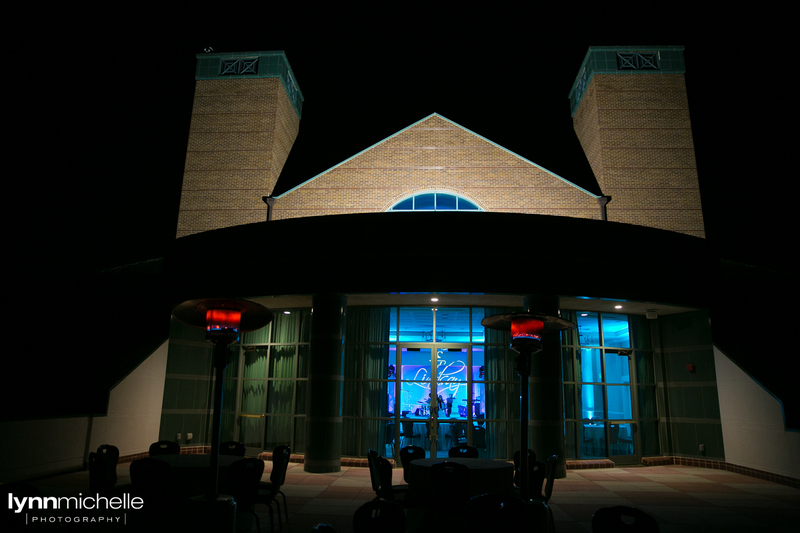 The brightness is nice so we don’t have to clutter up your venue with too many lights just to get the desired look. 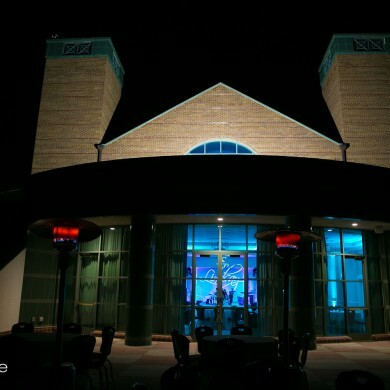 Also, our lights can run for 10-20 hours depending on color & intensity. 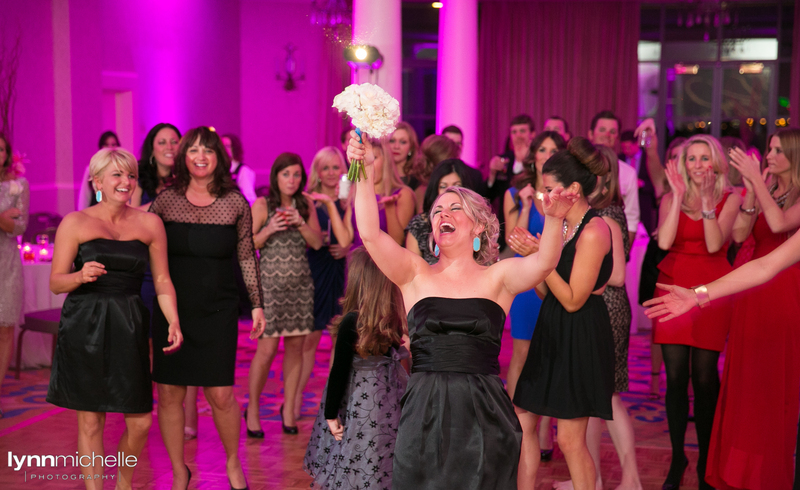 So you can rest assured knowing they will run the entire duration of your wedding without a problem! 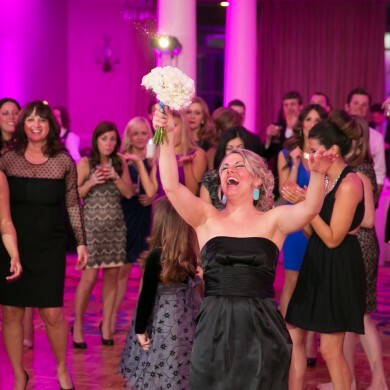 Interested in finding out how we can add some color to your wedding through uplighting? Contact us today for a free price quote. All we need is a few pieces of information and we’ll usually have a price quote over to you within 1 business day.